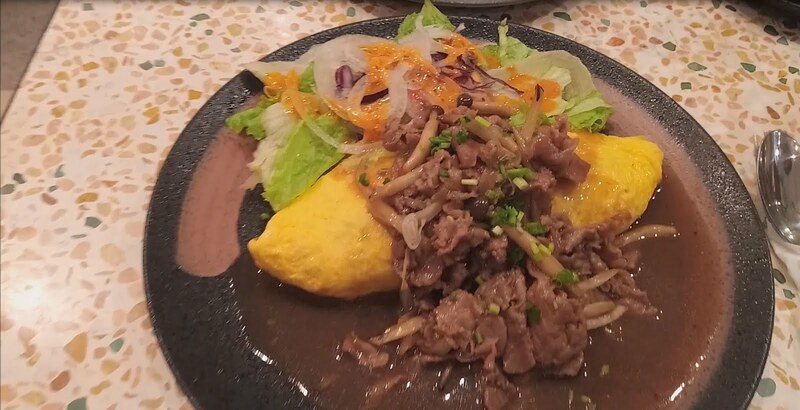 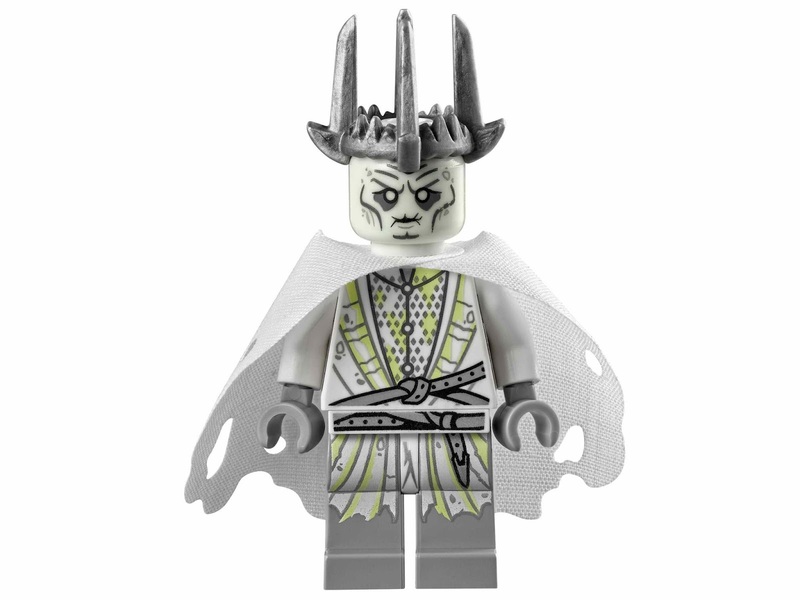 come with a dol guldur fortress. 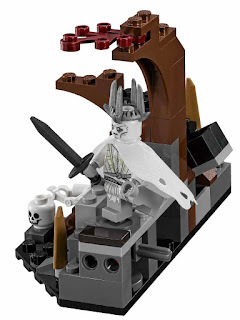 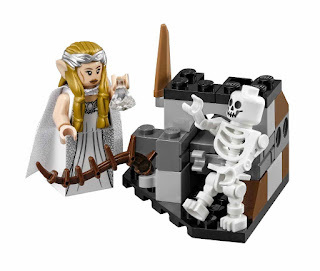 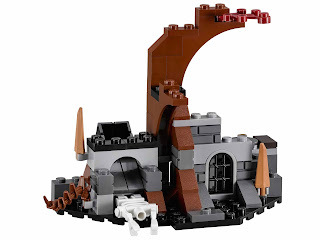 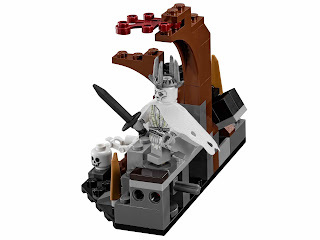 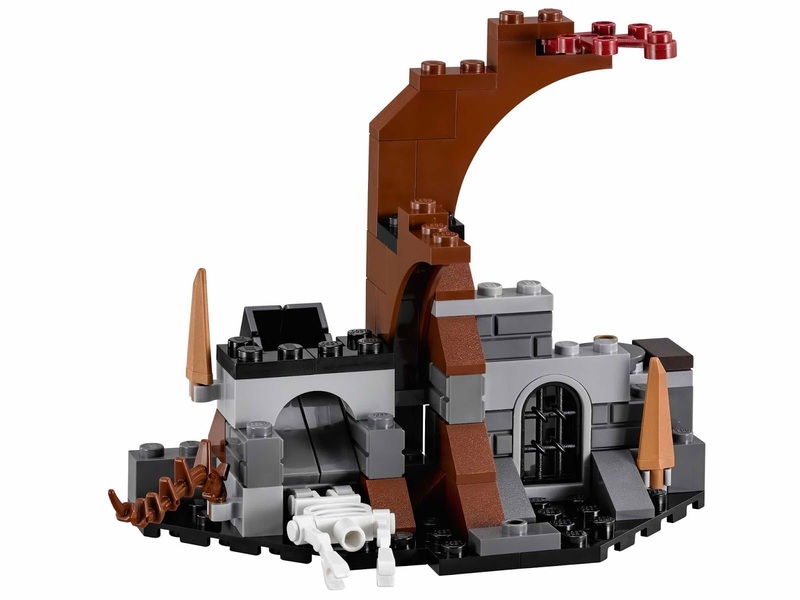 the fortress has a haunted tree, a rotatable minifig platform, a skeleton torso activable catapult with 2 fireballs, a skull and skeleton arms. 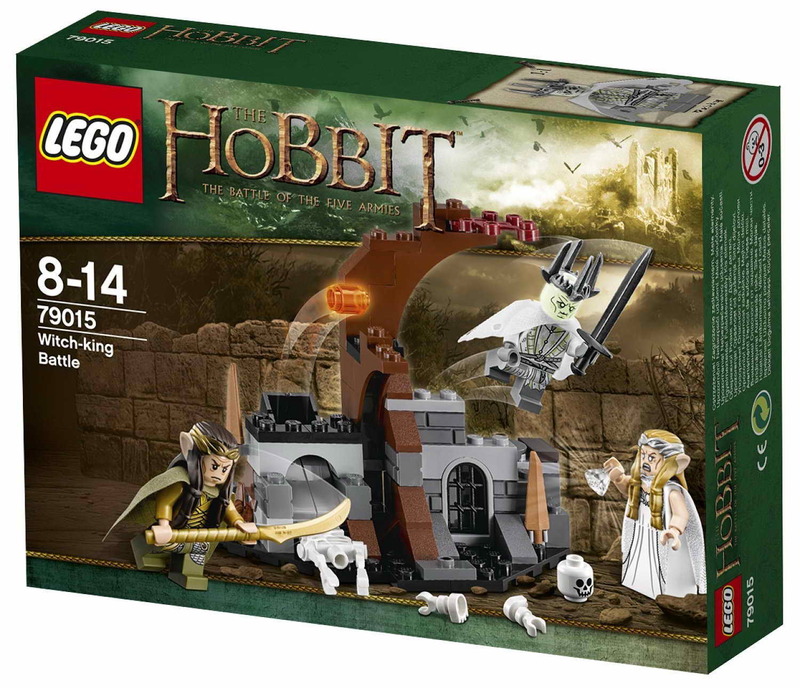 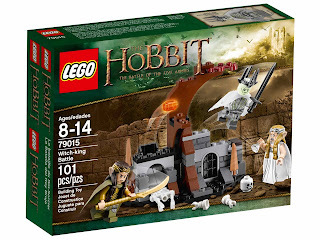 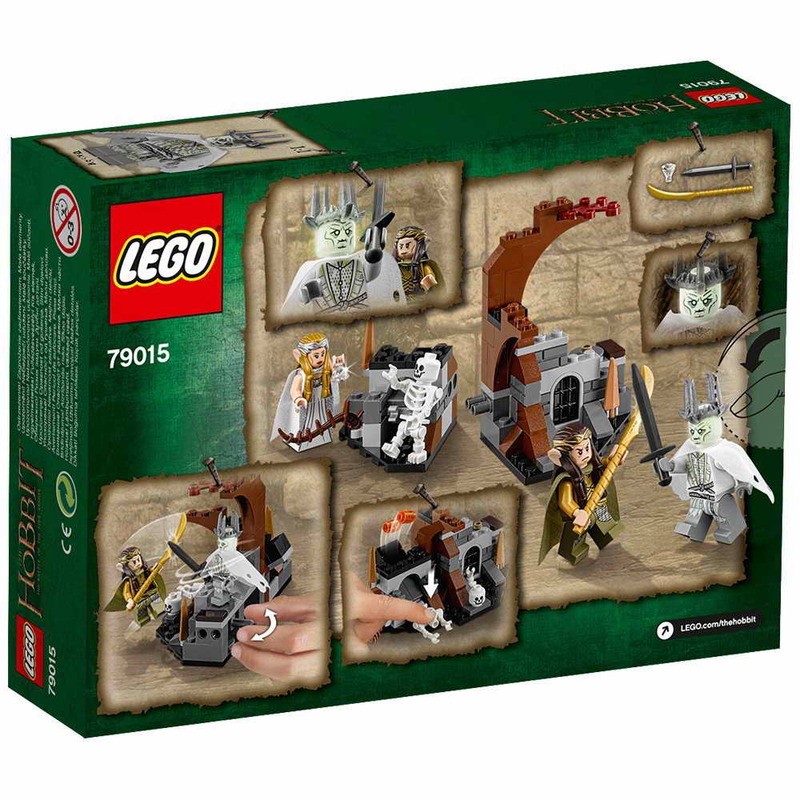 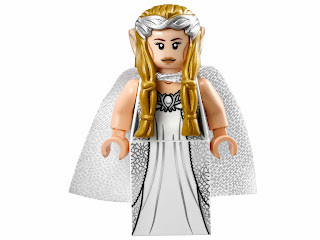 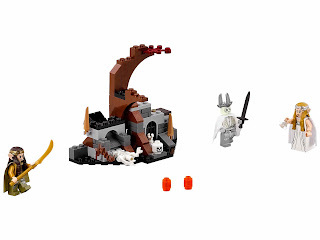 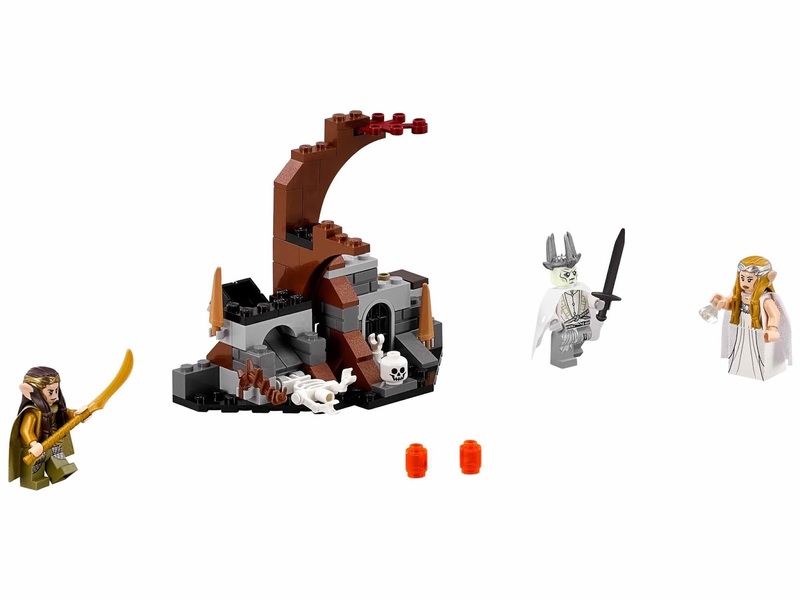 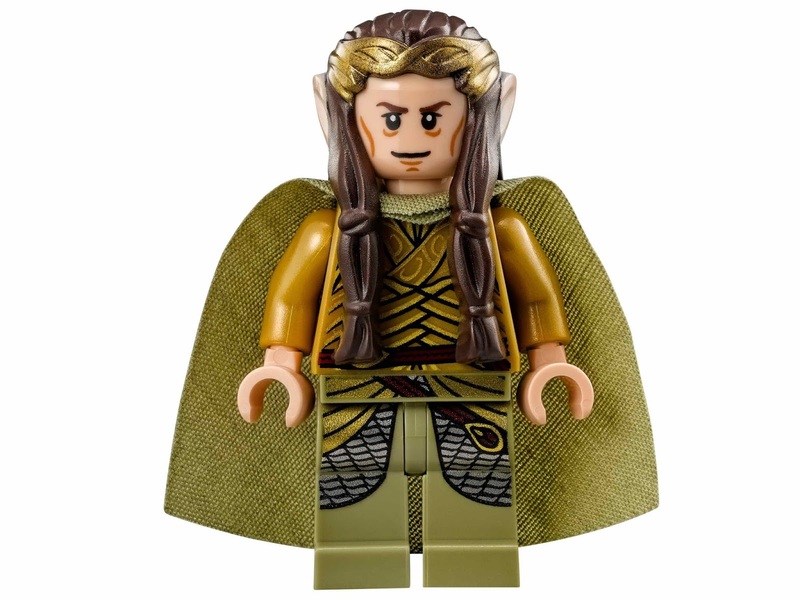 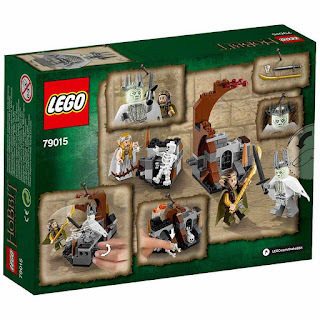 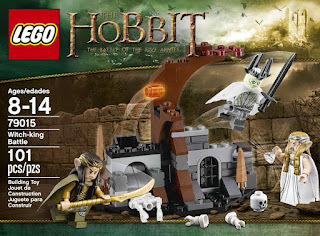 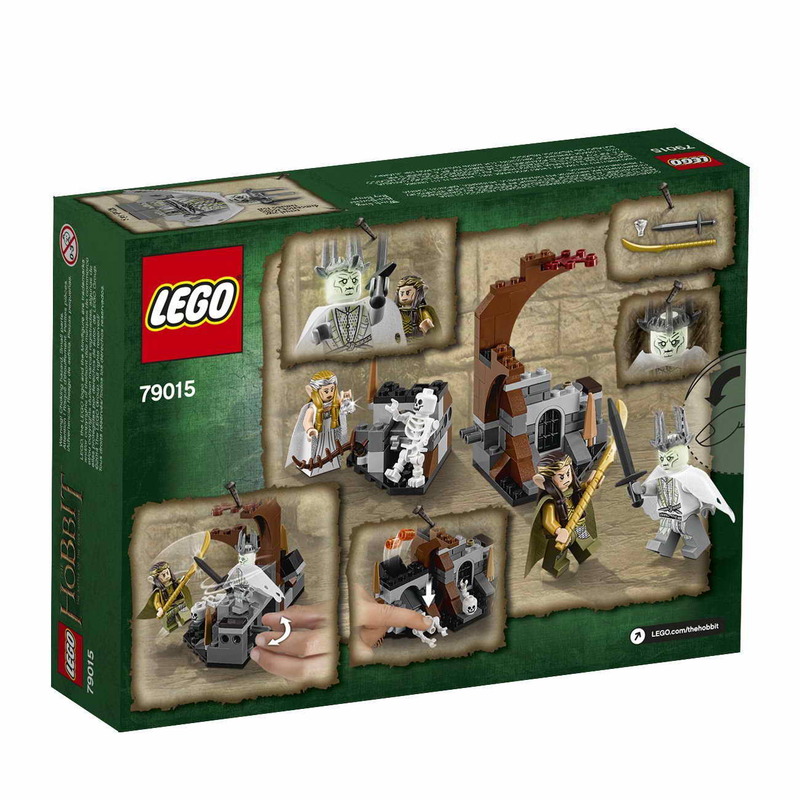 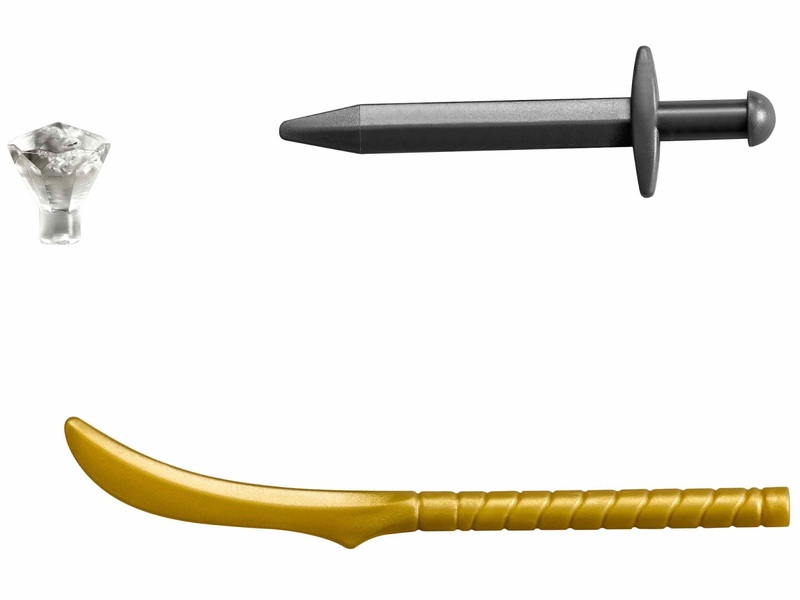 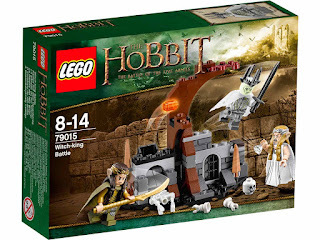 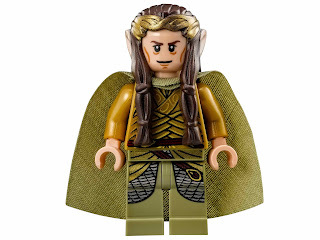 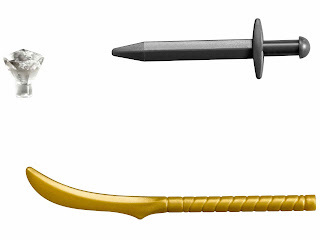 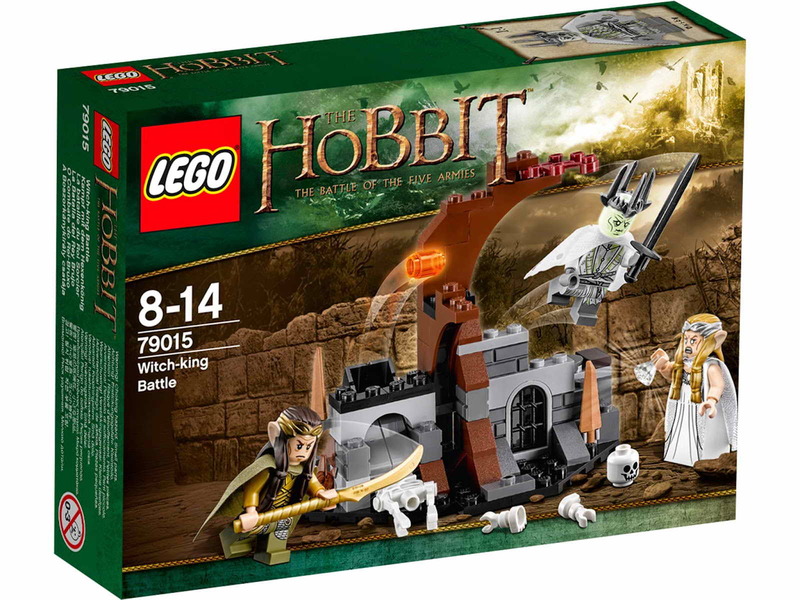 minifigs included a witch king minifig, a galadriel minifig and an elrond minifig.